For many businesses, finding a help desk provider can be a nightmare. During this search you may either bombarded with costly IT service providers or offshore teams. Here at Computer Central we have designed an IT service desk specifically geared for small to medium-sized businesses located in the Central Florida area. Furthermore, our headquarters, technology and service desk technicians are all based in Central Florida too. 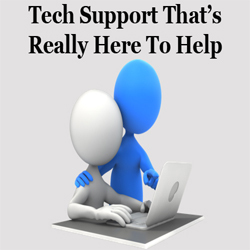 We are your local technology experts! For more information visit our Help Desk Services Page.